This was a pretty busy sports weekend. We had the football AFC & NFC divisional playoffs earlier, and the first major tennis Grand Slam got started for the new year, the Australian Open. Naturally, I knew that I was going to be glued to the television and so, I decided to bake this Baked Tex-Mex Potato With Pico De Gallo in advance. This is a really scrumptious snack that you can prepare well ahead, the potatoes and the salsa, with ample time to spare before intending to serve. 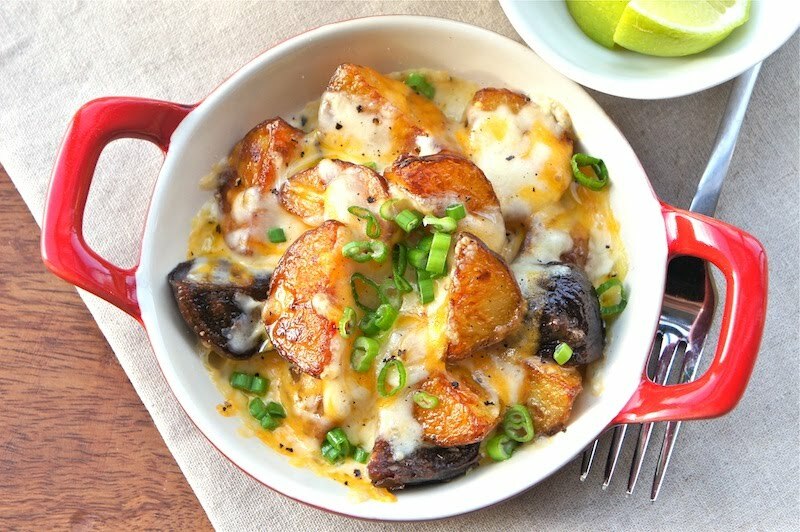 Just pop the layered cheese potatoes in the oven for 10 minutes. Serve with lots of refreshing salsa and you have an addictive baked cheese potatoes ready to be enjoyed! Lightly grease 4 small or 1 large shallow baking dishes with olive oil. Layer the potatoes in the baking dish followed by the cheese, sea salt, and black pepper. Repeat another layer. Bake the potatoes in the oven for about 8 to 10 minutes or until the cheese is nicely melted. Remove from the oven, and top with chopped scallions. Serve the potatoes with Pico De Gallo. Yum! This looks fun and delicious! Thanks for sharing! what an amazing photo and recipe..looks really good! @Kacey, @Sandra: Thanks for the comments. This is a great sports-watching (or anytime!) snack. 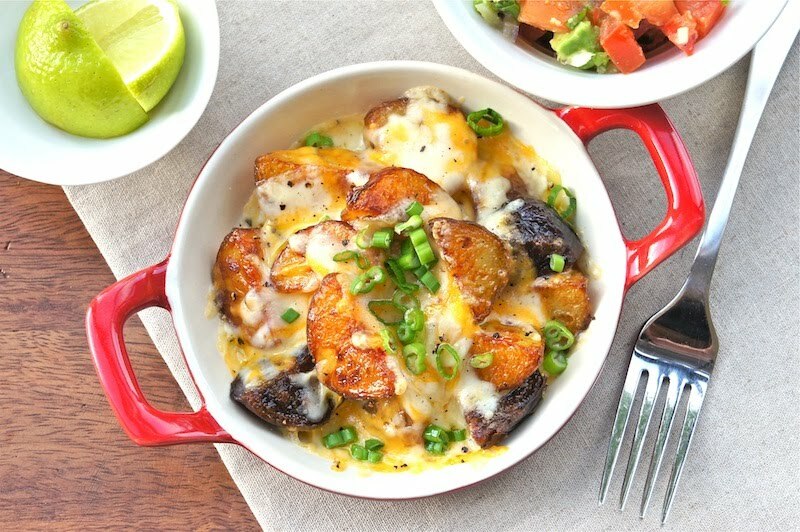 It's like nachos or queso dip... with potatoes! My husband and I would absolutely love it :). fabulous, I could dive right in to this bright dish. Angie, what an awesome dish!!! Kind of like scalloped potatoes, only with better "fixin's"! These potatoes have football written all over them!!! Nicely done!! Oh my goodness. This looks delicious and cozy. I'm making this for dinner tomorrow night!!! Delicious looking! Nice food photo.